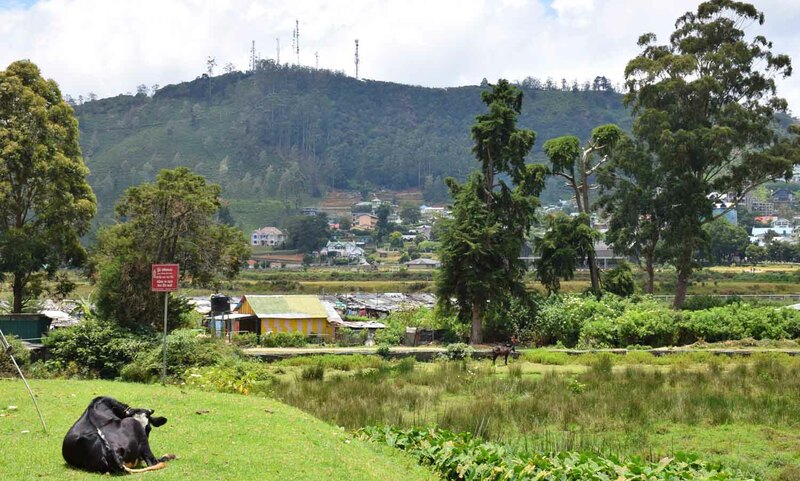 Ahhh yes I know, if you’ve been following this blog this year you’ll already know I loved Nuwara Eliya. The idyllic little Hill Country town in the mountains with rolling hills of green, a lake, and curious old world charm. You might even find yourself near a crackling fire in the evening, something that’s rare for this part of the world and all its heat! 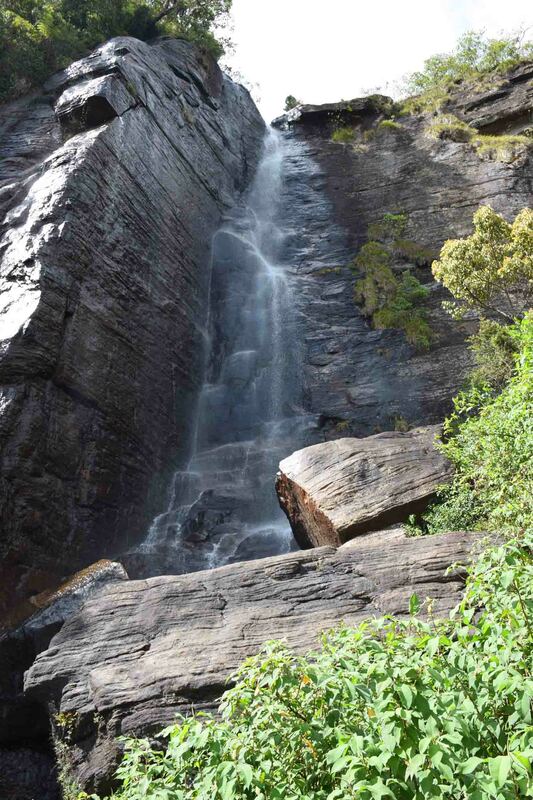 Of course, at over 1800 metres, it’s going to be the perfect retreat from the heat and humidity of coastal Sri Lanka. And so the history of the town is, somewhat sadly to say, mostly colonial. Hence you will find a race track and a golf course in this green paradise. The good news is that today it appears to mostly be in the hand of Sri Lankans. Even the colonial house I stayed at today is owned, run and staffed by Sri Lankans. 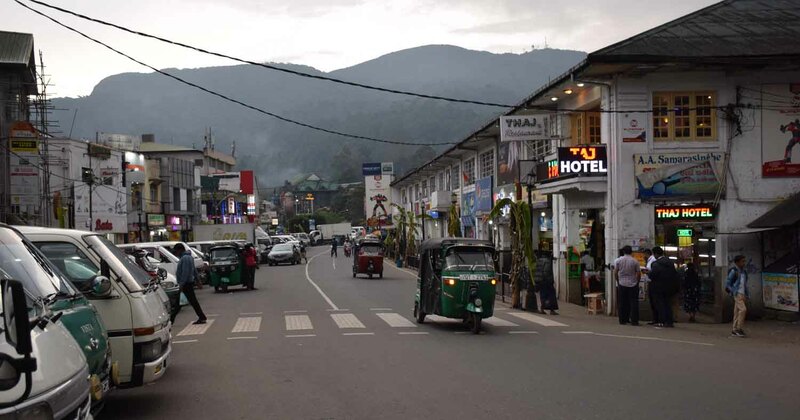 So be aware when you go, that this isn’t typical Sri Lanka, that you are spending time in a town which was built so that the British could escape the heat and get the locals to grow tea for them. 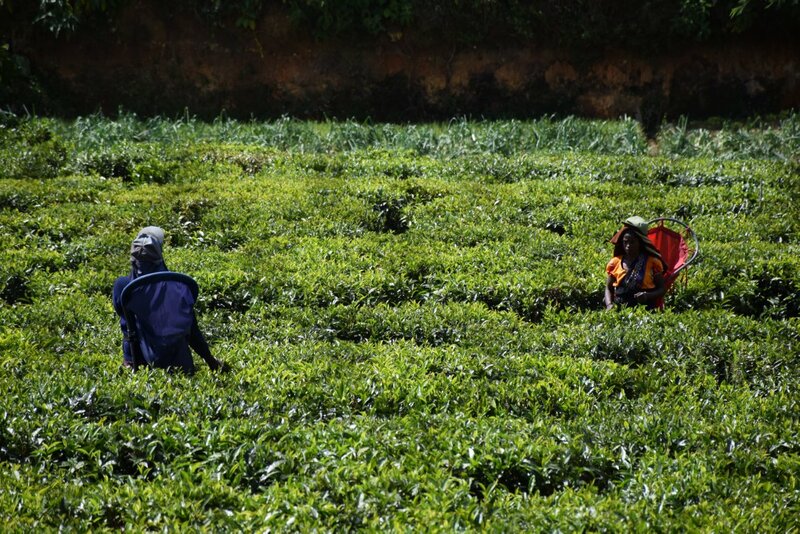 Again, thankfully, the tea production is now in the hands of locals. However, to this day the tea pluckers – almost all of whom are women, and who are basically born into plucking families and continue on the tradition – are severely underpaid for their work. Which is often 7 days a week at 10+ hours a day. Not to mention what that does to your back after years in the tea plantations. Sadly there doesn’t seem to be a lot of help for the workers and their situation. I must confess I’ve only done a quick google search, but it is a situation that needs a remedy. If a worker gets hurt and can’t work, there are no rights for that person either. One website I did find – ethicalteapartnership.org – check it out if any of these issues make you want to ask some questions. But this is a travel post essentially, not an ethics post, but I do like to flag things I think are important to note when you’re a guest in another country. As for sights, well, there are plenty in around the town. It’s really nice to walk around the township. There are several restaurants around the place, some with Sri Lankan fare and others with western food, which can, in certain places, be hard to find in Sri Lanka. In the tourist places though, it’s fairly easy (and possibly the best place in Sri Lanka for western food, not that you’d go there for western food, would I think be Galle). The town is green, hilly and spread out. 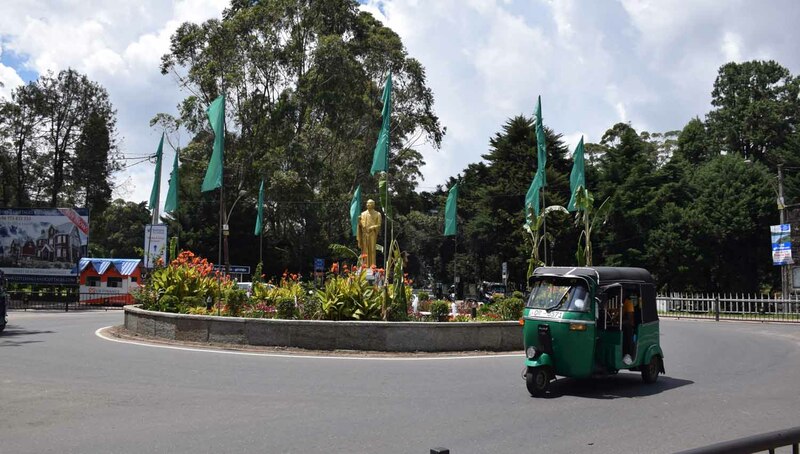 You may need an auto-rickshaw (also known in Sri Lanka as a ‘trishaw’) to get about. Around Nuwara Eliya they require a bit of bargaining and you don’t always get a good price. They are keen to get people to do a day trip with them. 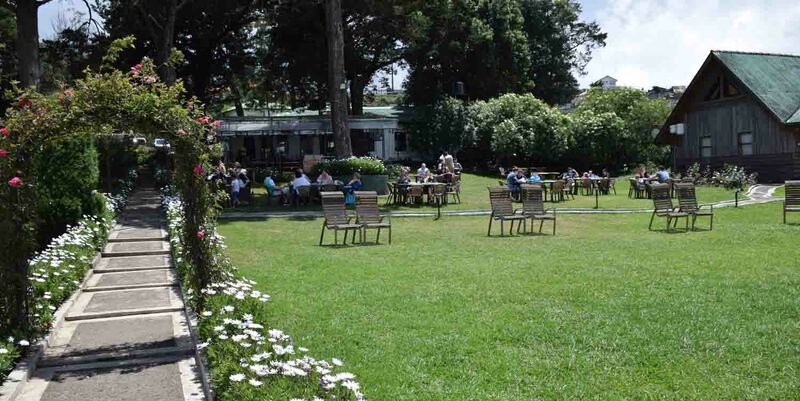 Out of town, but only a few kilometres you will find the Pedro Tea Estate which is a great place to see a functioning tea estate in action and you can get a tour for not much. It’s not far from the waterfall ‘Lover’s Leap’, which you can walk to from there but it is pretty steep. Around town chill out by Gregory’s Lake. There’s an entrance fee to visit the lake, which you know, seems a bit unnecessary but I guess it has to be maintained. It’s a bit of a walk from the centre of town, but it’s a pleasant walk. At the lake there are restaurants and boats if you want to go out on the lake. Closer to the middle is Victoria Park, really nice gardens to while away some time in and explore, and the post office is an historic building. 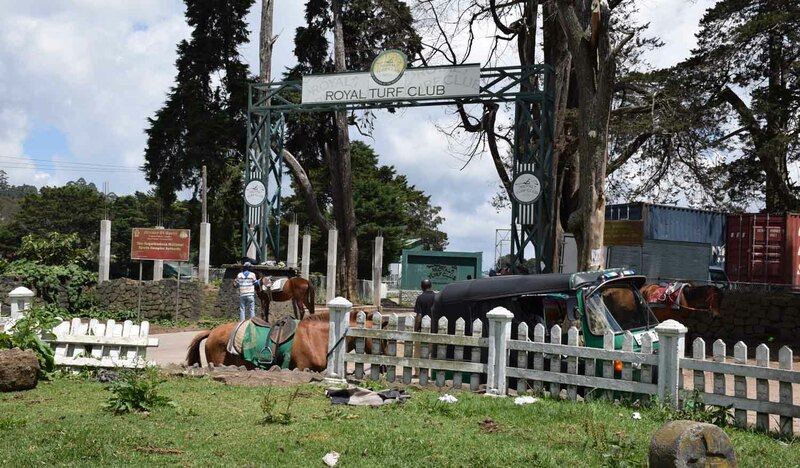 You can also take a ride on a horse at the Royal Turf Club if that appeals! But my highlight was going back to my guesthouse – The Trevene – for a slap-up dinner and night by the fire! It’s lovely town! A lovely place! Thanks for reading – May the Journey Never End! You never fail to awe me Andy – truly amazing journeys.